Just part of the Blessing Day field! 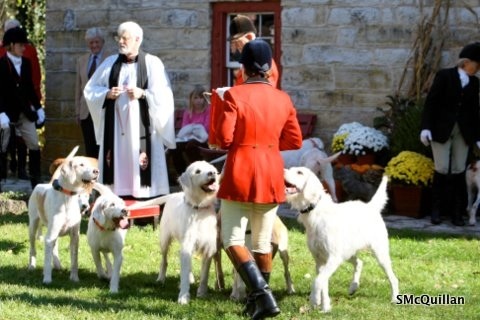 The hounds at this year’s blessing ceremony included Hound Welfare Fund Retiree of the Year Sassoon, the giant woolly in the middle of the picture, who retired at the end of the 2011-2012 hunt season. 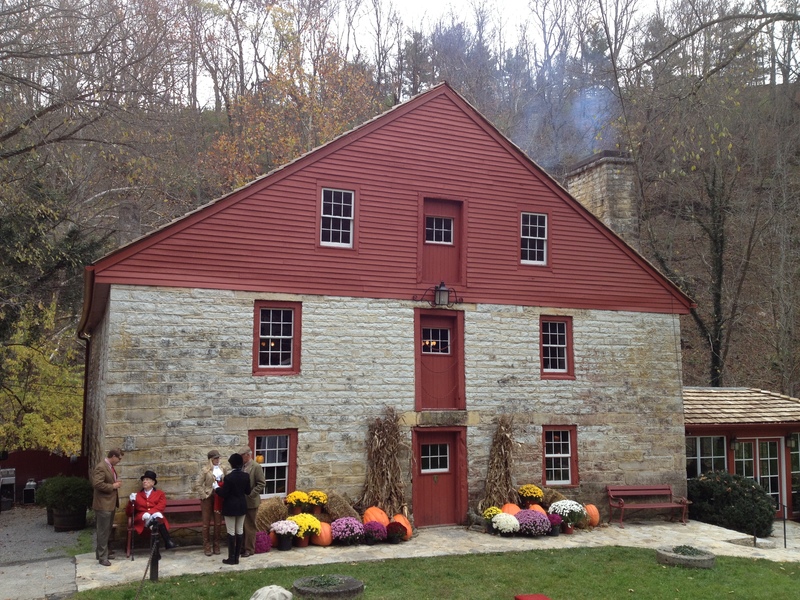 Grimes Mill, the Iroquois Hunt Club headquarters, all dressed up for the big day. 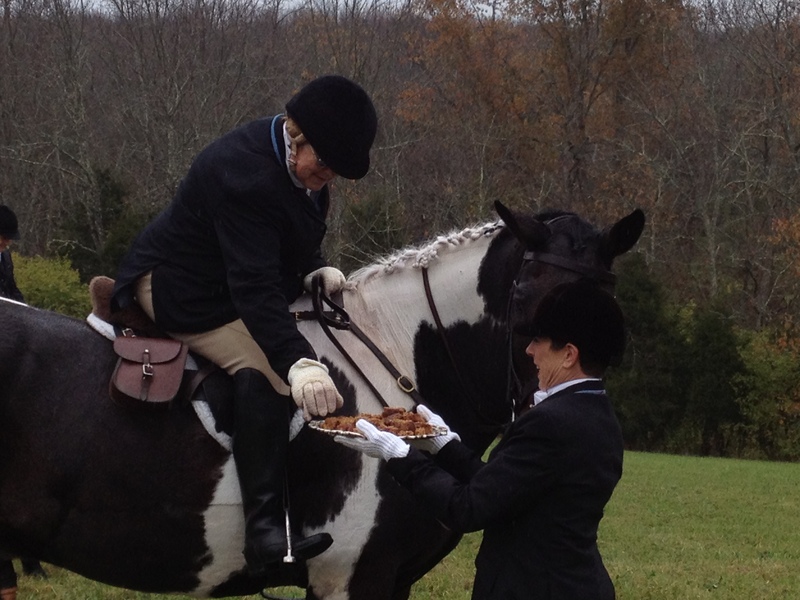 Whipper-in Cice Bowers accepts a piece of cake from hunt member Leslie Penn as part of the stirrup cup Iroquois huntsman Lilla Mason hosted after the blessing ceremony. 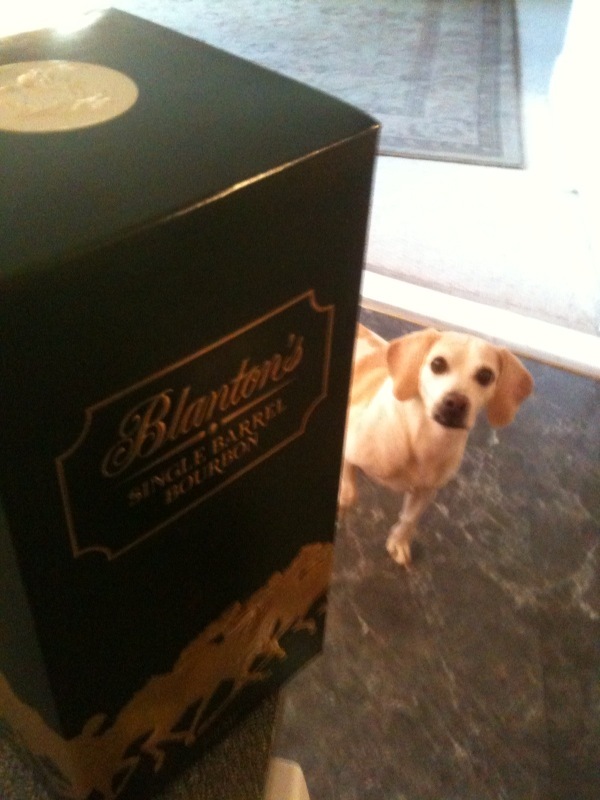 Looks like Cice’s horse, Turnip, would like some, too! Countdown to the Blessing of the Hounds! The Iroquois Hunt’s Blessing of the Hounds honors the pack’s retirees as well as its current hunting members. Shirley McQuillan photo. 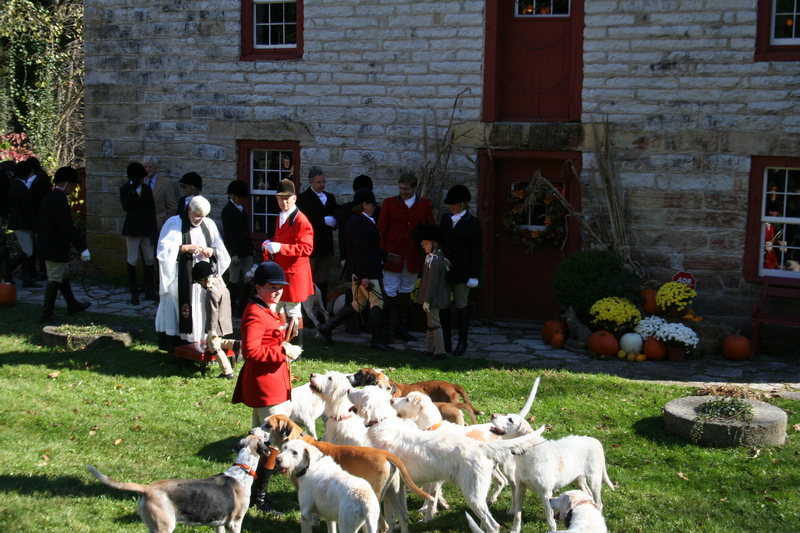 ON Saturday, the annual Blessing of the Hounds will mark the transition from October’s informal part of the hunt season (generally known as cubhunting or autumn hunting) to the formal months that run from November until March. Blessing Day is the “high holy day” of the Iroquois season, and it’s made even more special by the fact that some of our retired hounds get to participate in the ceremony each year. 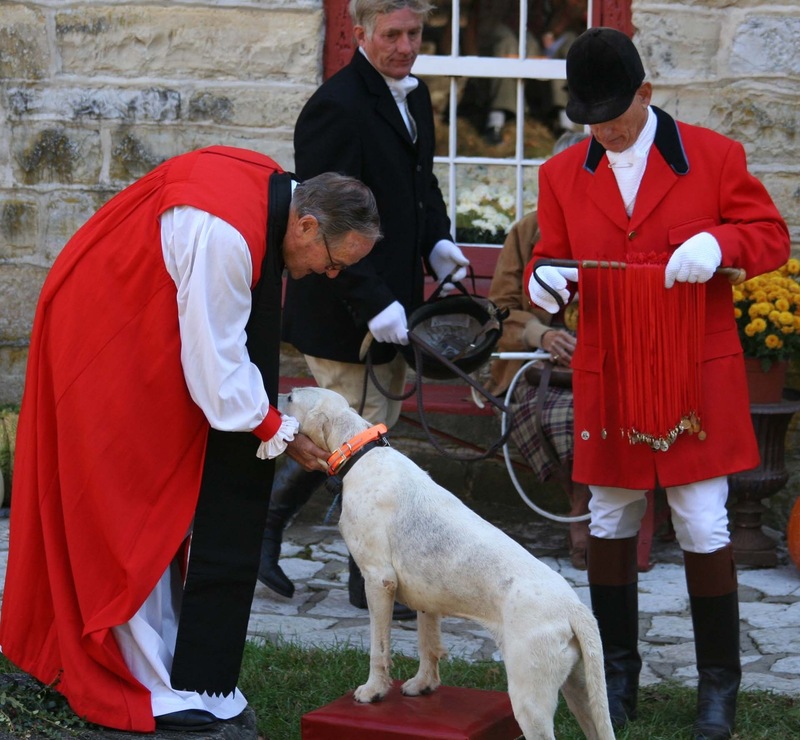 The Blessing of the Hounds harks back to St. Hubert, the patron saint of hunters, and it’s his medal that our riders receive on Blessing Day as part of the ceremony (you can see them on their red ribbons, above, lined up along Iroquois joint-Master Jack van Nagell’s hunt whip). To learn a little more about St. Hubert and the history of this beautiful and curiously affecting service, click here. Bonfire received a personal blessing at the 2008 Blessing of the Hounds. Houndblogger photo. 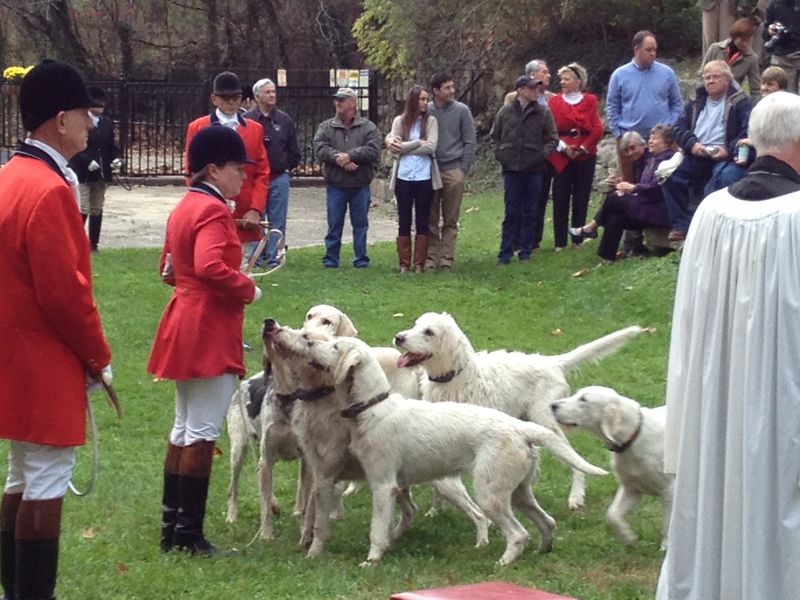 The Blessing of the Hounds takes place each year on the first Saturday of November and attracts the hunt’s landowners, neighbors, and friends, who enjoy the service, the spectacle, and also a traditional stirrup cup hosted by huntsman Lilla Mason. 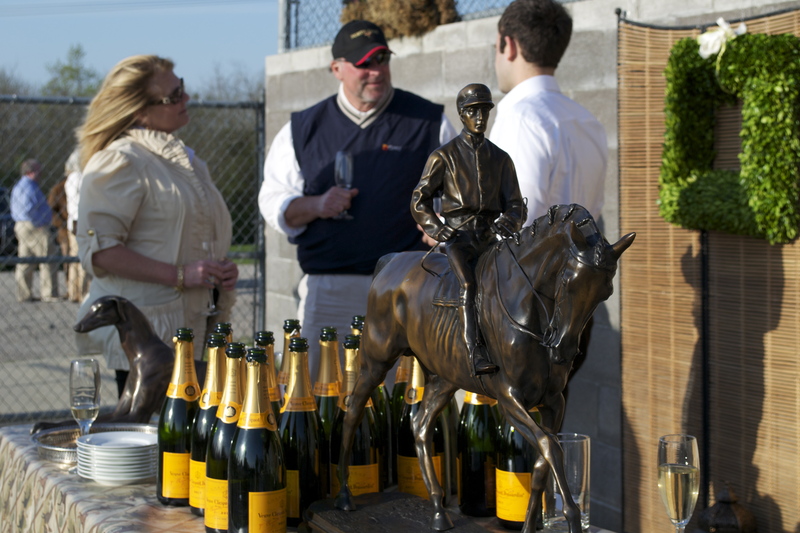 The schedule this year starts at 11 a.m., when the riders, horses, and guests arrive at the hunt club’s front lawn. 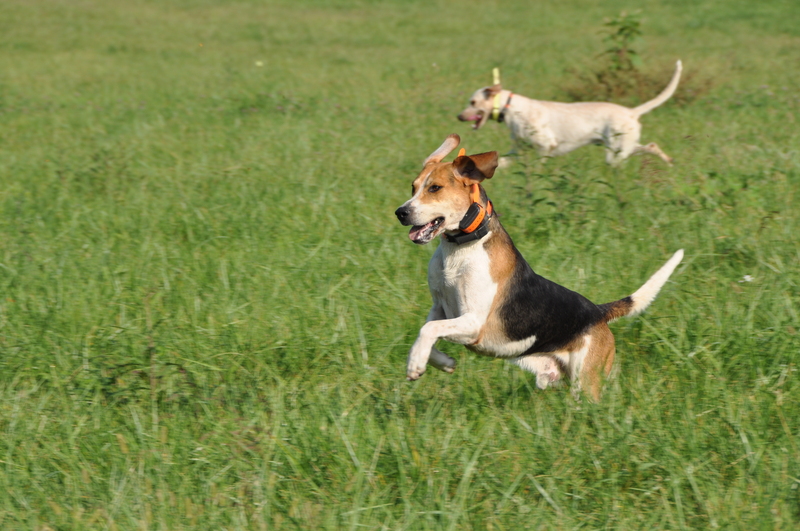 The hounds themselves–including 2012 Hound Welfare Fund Retiree of the Year Sassoon!–will arrive at 11:30 a.m. The Iroquois joint-Masters and huntsman will make a few brief opening remarks, followed by the blessing by the Venerable Bryant Kibler, Senior Archdeacon of the Episcopal Diocese of Lexington. Each rider will then take his or her turn to receive the St. Hubert’s medal. At noon, the riders will proceed up the road on horseback to Miller Trust Farm, while guests and spectators follow by car. 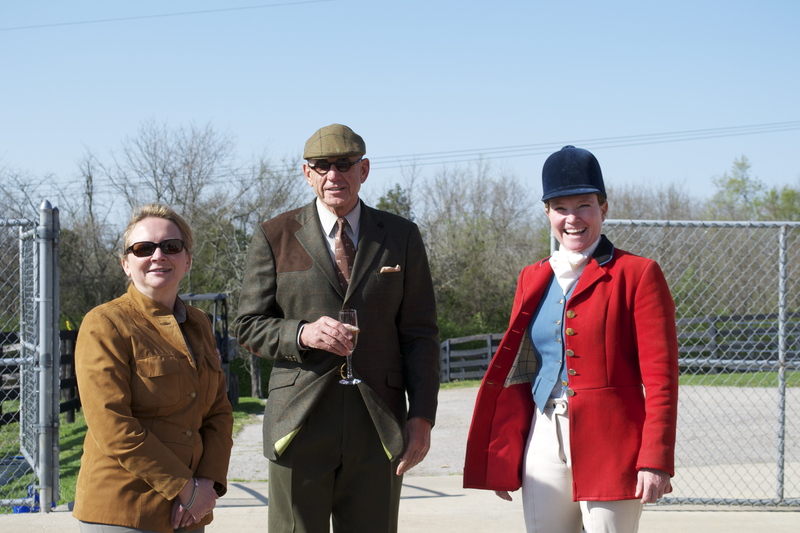 The huntsman’s stirrup cup–featuring ham biscuits, cake, port, sherry, and apple cider–will take place in one of the Miller Trust fields. All those attending the Blessing of the Hounds are welcome to join in for the stirrup cup, which got its name, incidentally, because the mounted riders are served their food and drink at stirrup level by the unmounted person holding the tray! 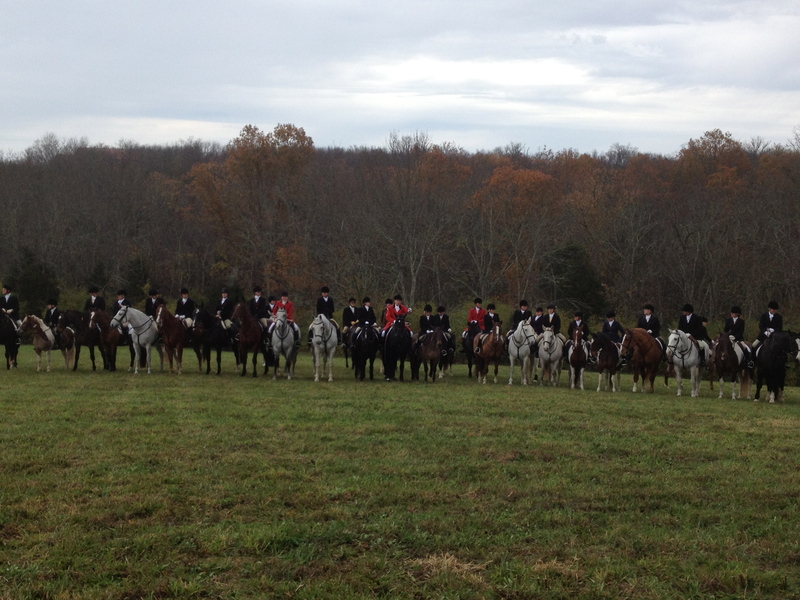 The hounds, hunt staff, and hunting members gather on the Iroquois Hunt Club’s front lawn for the ceremony before riding up the road for a traditional stirrup cup. The riders receive a St. Hubert’s medal. 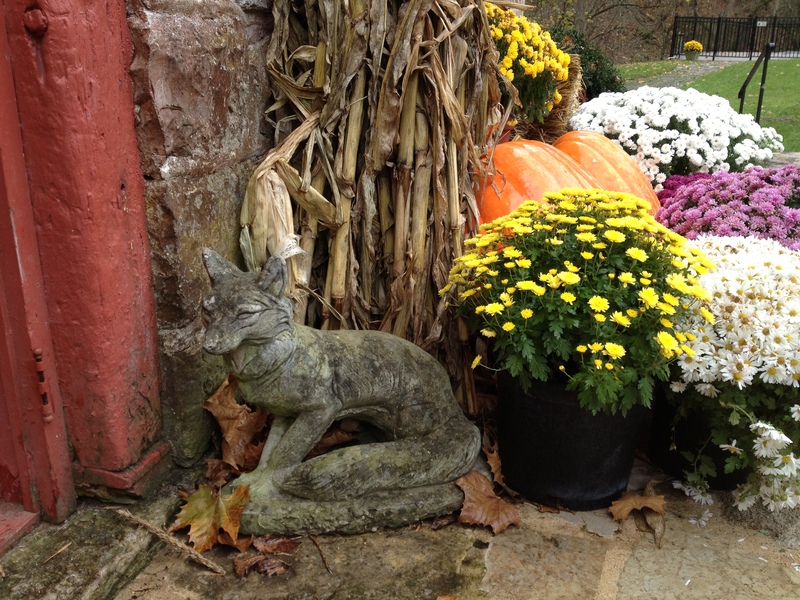 Tomorrow, we’ll take a last look back at the informal season with video from the last weekend in October, when superlative hounds combined with cool, damp weather and fast coyotes to give October a great sporting send-off! Thank heavens for rain. God knows we need it sometimes, and so do our landowners. But does it have to fall, and fall so heavily, on days when hounds are supposed to meet? At least there is a silver lining: poor weather provides a fine opportunity to think back to sunnier days. 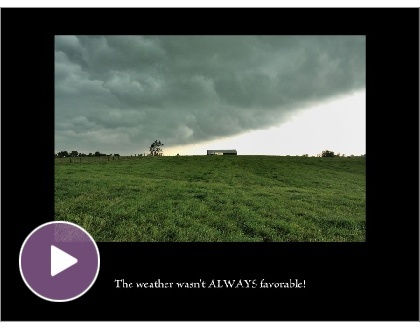 The summer hound walk and roading season ended several weeks ago, but we thought we’d cast back a bit and enjoy a last look at some video and photographs we and photographer Dave Traxler collected over the summer. Now, of course, our thoughts have turned back to fall and the new hunt season. Which means the return of the Hound of the Day series, as well as more photos from Dave, and video when the houndbloggers are out with the camera. Stay tuned for all of that when the weather allows us back out again, and, in the meantime, stay warm and dry! Iroquois hound show pictures and video! Kids and the Iroquois retired hounds also participated in the show. 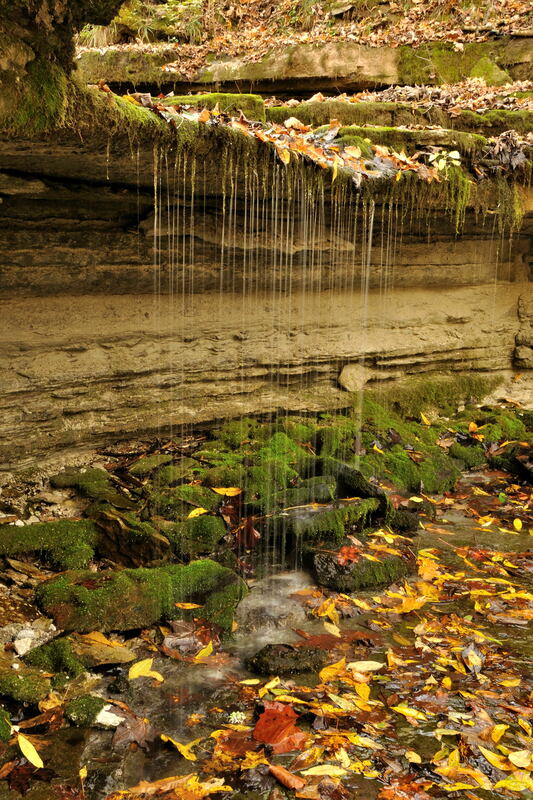 Photo by Dave Traxler. 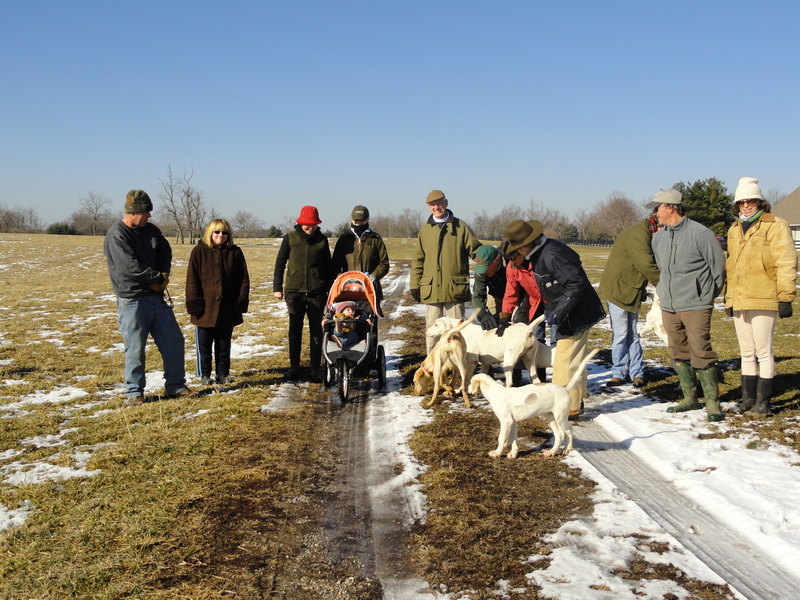 THE Iroquois Hunt‘s hound and puppy show on Saturday proved a good practice session for the upcoming Virginia Hound Show, and it also gave the HA puppies, sons and daughters of Hawkeye and Baffle, valuable exposure to the world beyond the kennel and their woods. By the way, Judge Bud Murphy chose Hawkeye as the “grand champion” of our informal event. He just nosed out Sassoon, in Bud’s opinion, in the older male category. The houndbloggers will, of course, abide by the judge’s decision, but at least one of us reminds our readers that Sassoon Is The Best Hound Ever. This blog is too short to extol his many virtues, but suffice to say we love him. 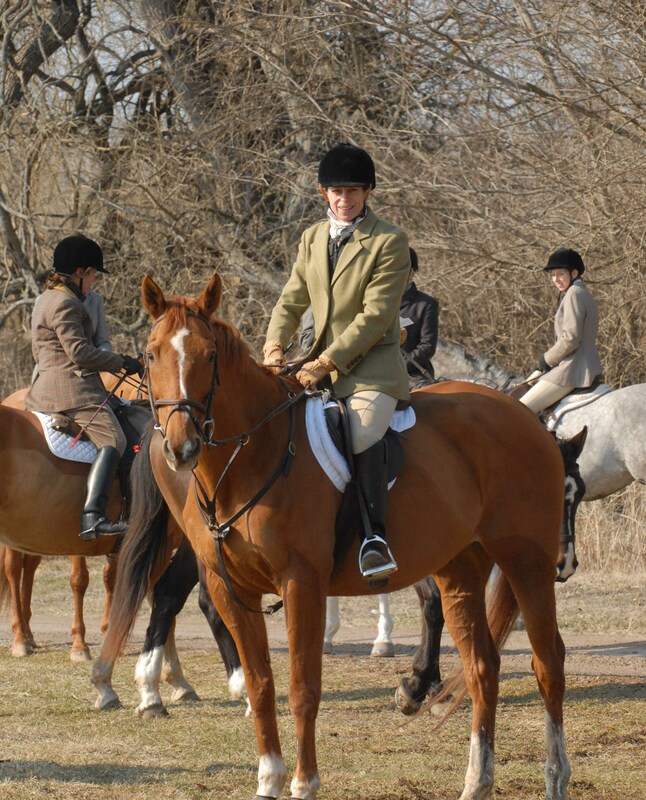 Two of our other favorites also were on the boards at the hound show, young Bagshot, who showed last year at Virginia and then enjoyed a good first season in 2010-’11, and the chestnut-colored retiree Glog, last seen out hunting on Blessing Day 2010 and now taking great pleasure in his retirement activities–including, as you’ll see in the video below, pats and scratches from his new best friends, the children at Saturday’s show. The weather gods were smiling on us, because we got just about the only two hours of sunshine central Kentucky saw all weekend, and in that warm, sunny window we were treated to romping puppies, fine-tuned canine athletes, brief presentations on basic hound conformation and the whipper-in’s job, and Pimm’s served out of the Iroquois Hunt’s silver Kentucky Hunt Cup trophy punch bowl. Sassoon enjoys a one-on-one conversation with IHC member and volunteer Leesa Moorman. Photo by Dave Traxler. For a spectator’s view the show, click here, where Samantha Clark also has posted photographs and a story about the day’s events. Thanks to everyone who participated, volunteered, and attended! 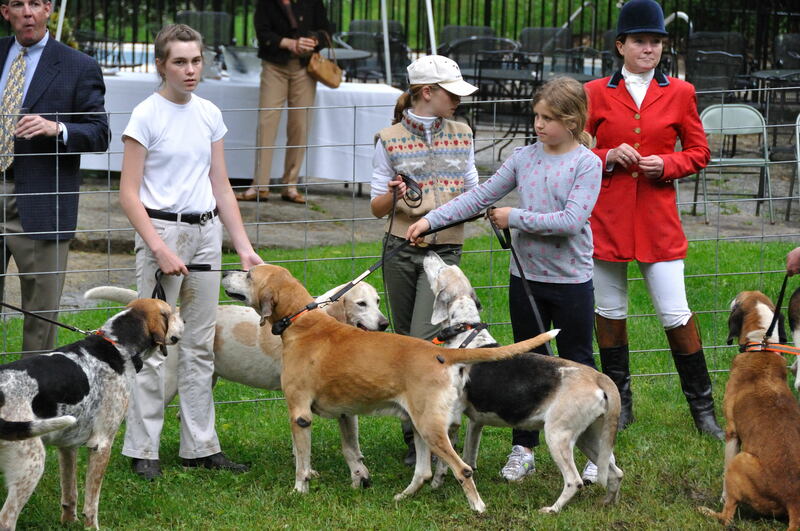 Now our thoughts turn toward the Virginia Hound Show and preparation for summer hound walks. And, of course, the annual Hound Welfare Fund dinner and auction, which takes place on June 4 at the hunt’s Grimes Mill headquarters. One hundred percent of your tax-deductible donations to this 501(c)(3) charity go directly to the retired hounds’ care. 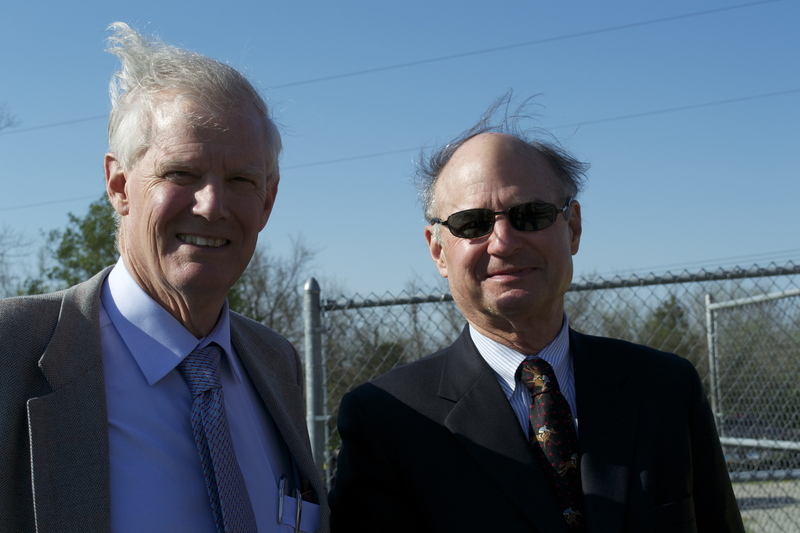 The retirees–who clearly relish their role as ambassadors!–appreciate it. If you’re interested in attending the dinner and auction, please send an e-mail to hannah[at]iglou.com. If you want more information about the Hound Welfare Fund or would like to make a donation, please feel free to check out the fund’s website here. 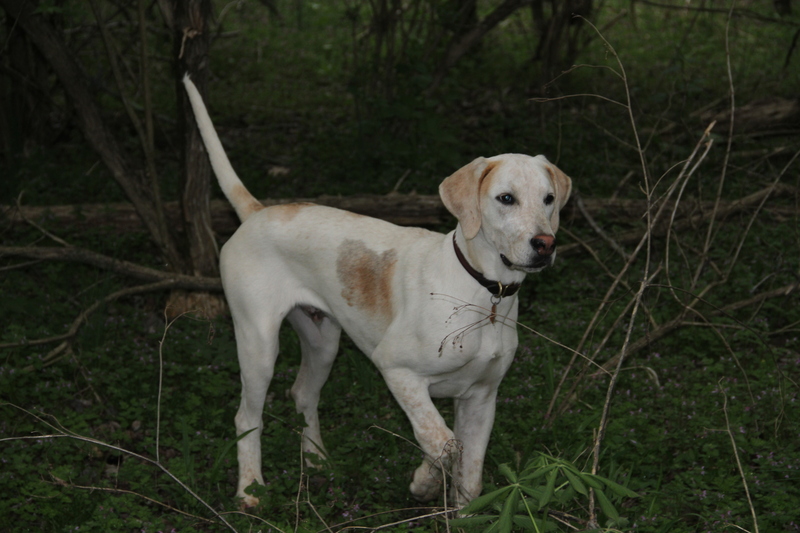 HA puppy Hamlet, as photographed by IHC member Gene Baker. IT’S hard to believe how much the HA puppies have grown! Iroquois Hunt member Gene Baker caught young Hamlet looking regal and mature–and wise beyond his years. Amazing to think he and his siblings are only seven months old. To see the HA pups on the move, click here and here for videos from their hound walks. Thanks, Gene, for sending the photograph! 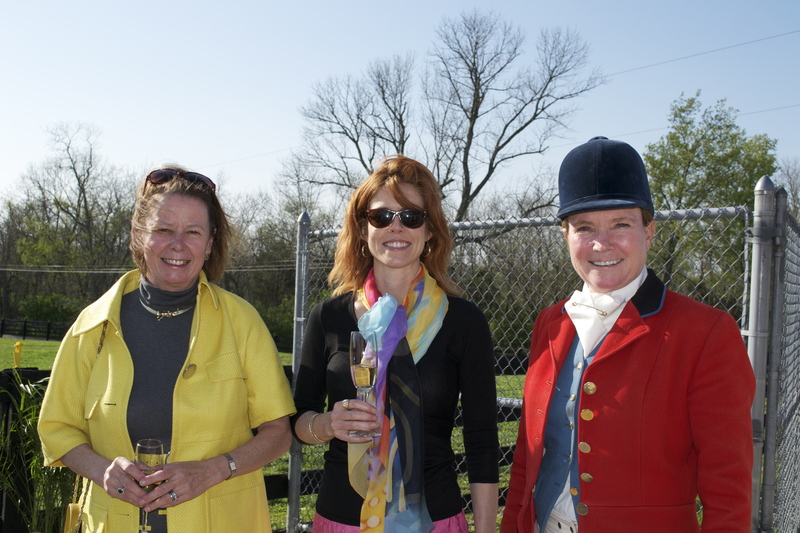 The HA puppies recently provided entertainment to visitors at the Iroquois kennel’s Champagne reception, hosted by the hunting hounds and the retirees. 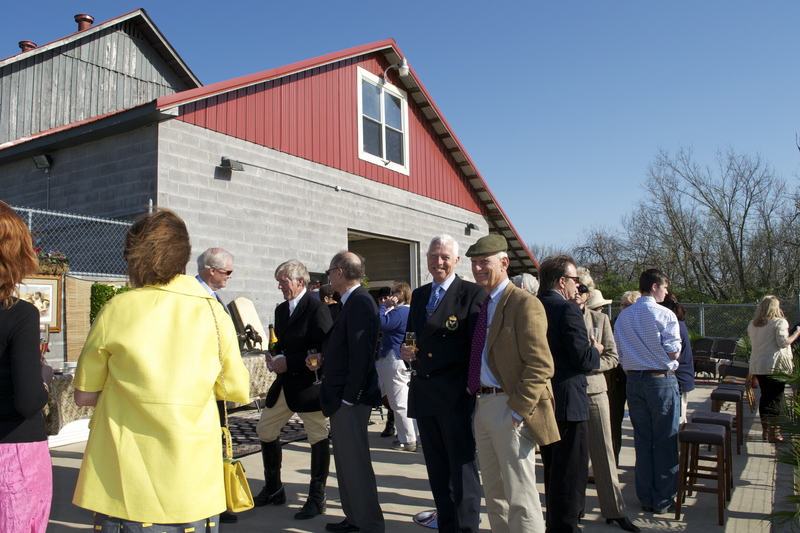 The hounds hosted a crowd last month at the kennel's Champagne reception. Now, when the Iroquois hounds put on a party they really, er, put on the dog. Their friends Uschi Graham and Kasia Pater, who also is the honorary chair of this year’s Hound Welfare Fund dinner and auction (June 4: mark your calendars! ), lent a stylish hand and decorated the kennels with Persian carpets, potted palms, bronzes, and a work by Andre Pater. Despite the afternoon’s very windy conditions, a good time was had by all–and the wind even died down eventually, making it easier to keep hold of your Champagne flute and hors d’oeuvres! Iroquois member Robin Doller chats with one of the day's hosts. Also within easy reach at all times: bottles of bubbly. Yes, the good stuff. The hounds know what they’re doing when they choose Champagne! 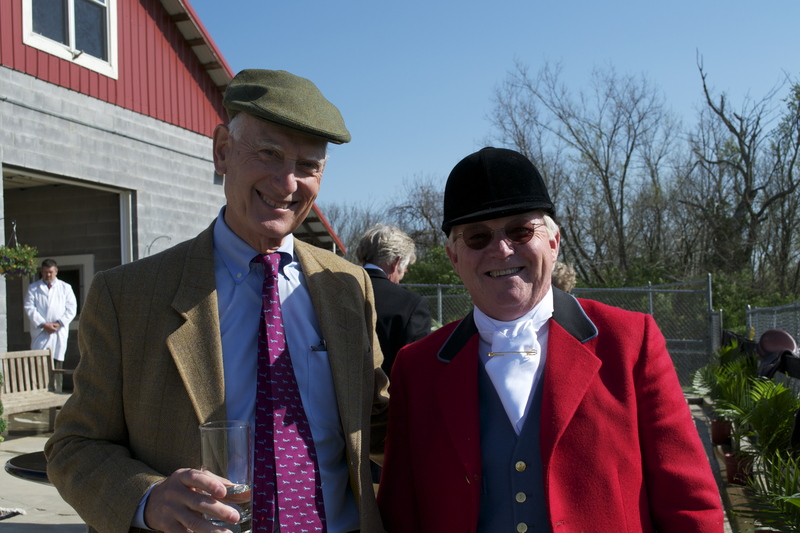 Many, many thanks to everyone who helped make the day so much fun, including Michael Edwards and Alan Foy for answering questions and showing off the hounds and their living quarters and Gene Baker and Blaine Holloway for providing a pair of handsome examples of proper hunt attire–and, of course, thanks to all the guests! 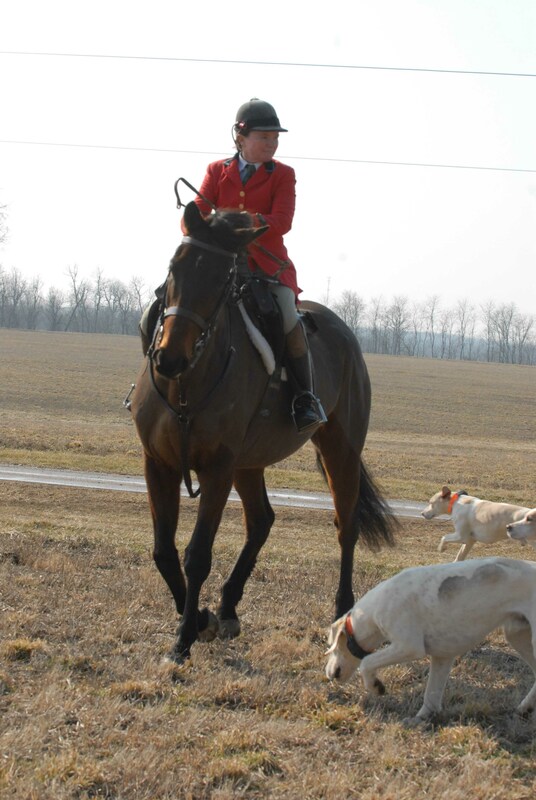 One of the houndbloggers’ pet topics is the long and close relationship between foxhunting and the military, and we were especially excited to see a story touching on that shared history in the May 2011 issue of The Field. The story on p. 80, which you can read online here, is about the King’s Troop. 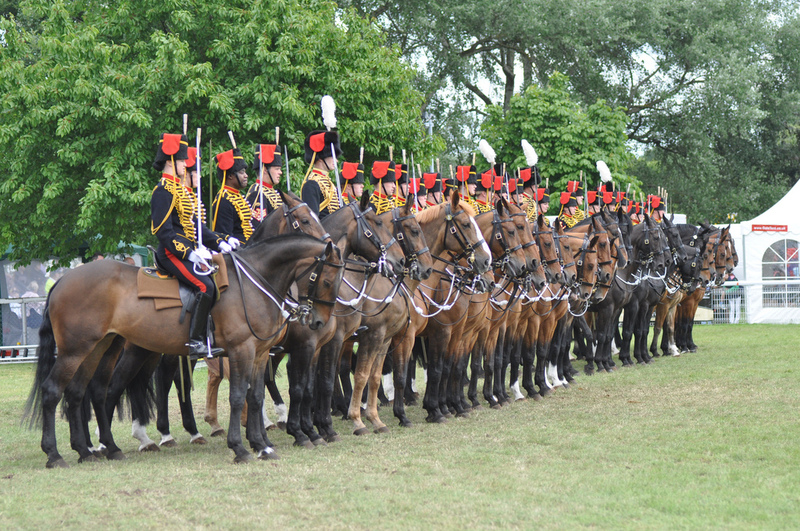 The King’s Troop grew out of the Riding Troop, a ceremonial troop that was part of the Royal Horse Artillery. In 1947, King George VI–he of “The King’s Speech,” if you’re a movie fan–changed the troop’s name to the King’s Troop. Upon King George VI’s death, his daughter Queen Elizabeth II left the name unchanged in his honor. The King’s Troop is a highly prestigious unit and, although the Troop’s function is ceremonial, its members are serving military and trained fighting soldiers. According to the Ministry of Defence, six members of the Troop are deployed in Afghanistan at any given time. Neil Cross, the troop’s current commanding officer, commented on the King’s Troop’s close involvement in hunting: “It is important that we know how to get something extra out of a horse and how to ride the terrain. This is critical when towing a 1 1/2-ton gun carriage.” His words reflect the longstanding view among cavalry officers that foxhunting provided excellent training, because it taught not only a good seat at speed across country, but, more importantly, the importance of terrain and natural conditions in battle. Patrick Martin, now huntsman for the Bicester with Whaddon Chase, is a former soldier who joined the King’s Troop in 1977 at age 17. “What my three years with the Troop taught me was discipline, respect for authority, and to turn yourself out to the top standard,” he told The Field. The King's Troop. Photo courtesy of Kuva1574/Creative Commons. The King’s Troop is a thing of beauty to watch in its state duties, which include providing the gun carriage and a team of black horses for state and military funerals, as well as firing royal salutes on state occasions and royal anniversaries. the King’s Troop also takes over duties of the Life Guards at Horse Guards for one month each year. Hound Blog Hunch Bet update: no Toby! Sadly, the houndbloggers received word this morning that Toby’s Corner will not run in the Kentucky Derby after showing some lameness in a hind leg. To read more about Toby and his withdrawal from the Derby, click here and here. Master of Hounds is still in the race, though! 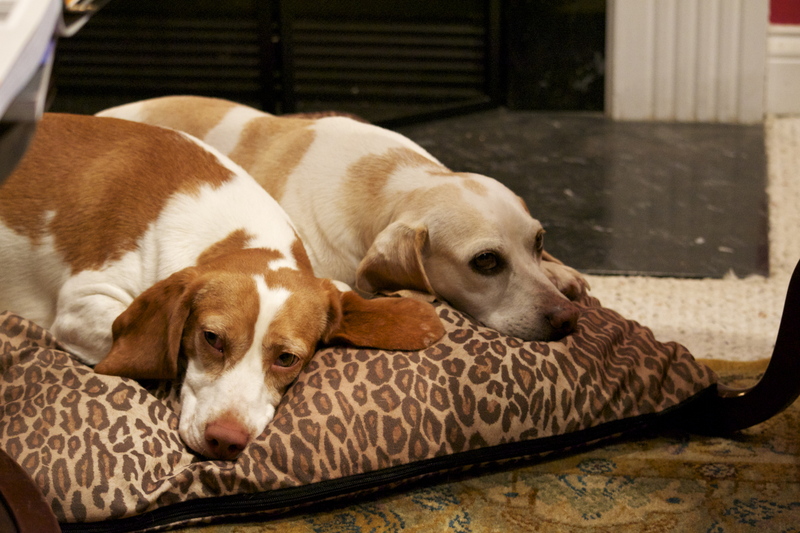 Toby (right) and cousin Eider are feeling pretty glum about Toby's Corner's withdrawal from the 2011 Kentucky Derby. And obviously we weren’t the only ones rooting for Toby’s Corner. Photographer Maggie Kimmitt kindly sent us a shot of this banner in Fair Hill, Maryland, where Toby’s Corner is based with trainer Graham Motion. It’s disappointing news, but here’s hoping Toby’s Corner gets over his lameness quickly and returns to competition soon! Until then, it looks like our Toby is considering ways to console himself on Derby day. Drink responsibly, Tobes! Paper on hound walk this summer. Dave Traxler photo. REMEMBER Playper? The tri-colored Class Clown? The puppy who liked to unearth and carry random objects around in the hunt field? Well, treasure those memories, because Paper ain’t a boy anymore. He’s the man. 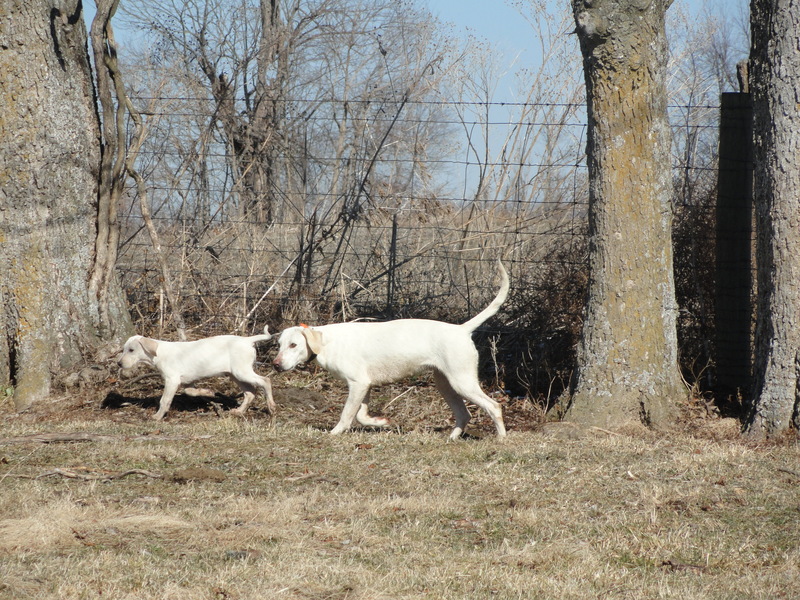 The last time we got out with the hounds was on Sunday, Jan. 30, a day that was notable because the sun came out. Which it hasn’t done for a long while. We were all delighted to be out in relatively warm temperatures and with the sun on our backs, and we didn’t expect the day also would mark a milestone for our young friend Paper. We’ve been following his development since he first started going out on hound walk back in the summer of 2009, and it’s probably worth a brief recap. Iroquois huntsman Lilla Mason and the hounds leaving the meet at Foxtrot on Jan. 30, 2011. Photo courtesy of Peggy Maness, who rode in the hound truck with us. 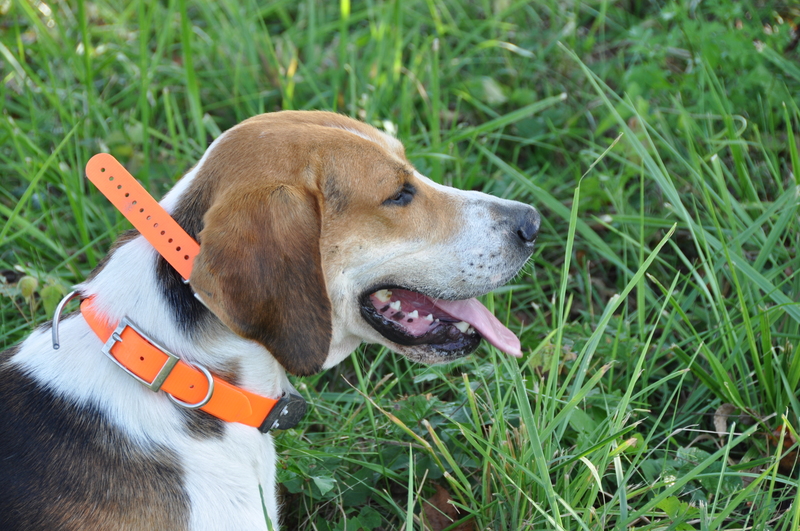 Paper came to Iroquois from the Live Oak hounds in Florida. He arrived in Kentucky still a puppy, and he exhibited a silly streak very early. He got his name, in fact, while he and Iroquois joint-Master Jerry Miller were making the 10-hour drive from Kentucky to Florida. Jerry had put Paper in a large traveling crate with an absorbent paper pad on the bottom of it, and Paper found that pad rather a lot of fun. He started shredding it not long after Jerry left the Live Oak kennel, and he didn’t stop until they rolled into Lexington. As the young pup kept himself busy with this, the bits of paper piled up in his crate until, finally, when Jerry looked in his rear-view mirror to check on him, the hound had disappeared completely in the mound of ripped paper he had created. Hence Paper. 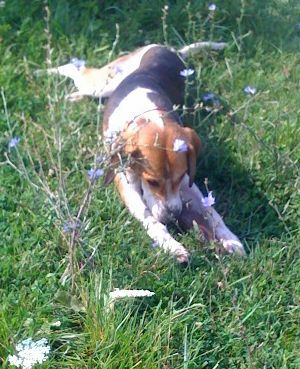 Paper has become a favorite at Iroquois because of his various antics on hound walk and out hunting. But, it must be said, this year he has graduated into quite a serious member of the working pack. And, last Sunday, he led the pack on a coyote run, showing the ability we always knew he had in him. The field and the hounds at the meet. Peggy Maness photo. The scenting conditions might have been less than ideal, but the pack was as good as they could be. Bringing them back to the hunt field after a long absence due to the long stretch of “unhuntable” weather was like putting on a comfortable old shoe, as Lilla described it. The hounds were as responsive as ever and settled quickly to their task. “It was like we’d never left,” Lilla said. Lilla Mason on Sackett at the meet. Photo by Peggy Maness. 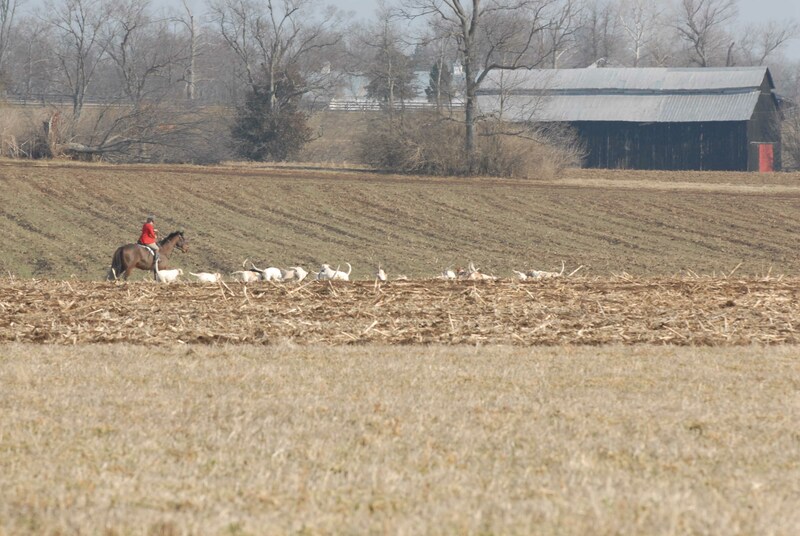 The hounds started winding something in the field near Grundy’s barn. They started feathering–but then couldn’t quite make out the line, another hint that scenting was difficult on a day when the earth was cold and the air relatively warm. The hounds tried, feathered, and even sometimes spoke, but the line proved elusive. They kept casting themselves to the south, feathering enthusiastically. They were clearly trailing up to something but couldn’t quite get consistent enough scent to strike off. 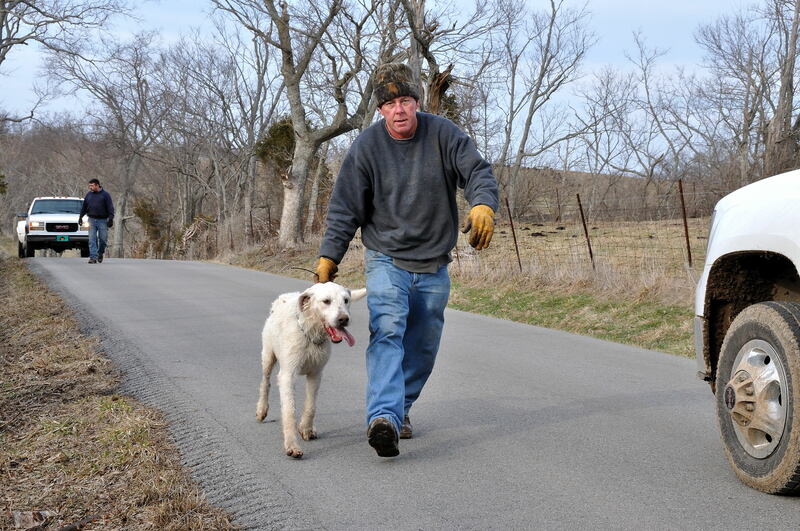 When joint-Master Jack van Nagell tally-hoed a coyote heading into Pauline’s Ridge, Lilla harked the hounds to that line less than a minute behind the quarry. The hounds feathered, desperately working what little of the line there was–but it was not enough to send them into full cry. That told her how difficult scenting was going to be, and, if she needed any more evidence, Lilla got proof positive that scent was not the hounds’ friend that day when a curious thing happened on top of a cliff. Paper has taken the leap from playful puppy to serious working pack hound. Photo by Dave Traxler. Iroquois joint-Master Jack van Nagell gave a tally-ho when a coyote headed into Pauline's Ridge. Peggy Maness photo. 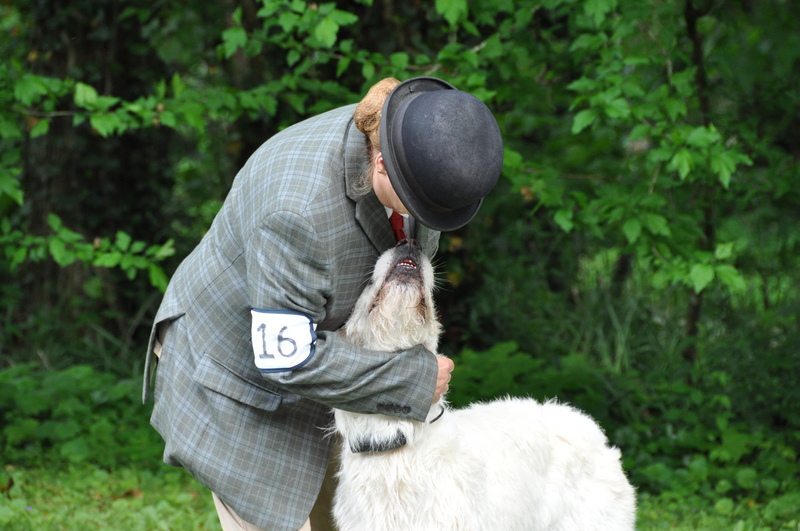 You can also see this difference–hounds’ reliance on their noses rather than their eyes–when Michael Edwards and Alan Foy scatter biscuits in the grass before unloading the hounds at a meet. When the hounds rush out of the trailer to hunt for the biscuits, they don’t look for the for red and yellow dog biscuits. They come out of the trailer with their noses down to smell for them. “So even though we can see a coyote, they’re using their noses to smell for it,” Lilla continued. “The problem is, you don’t know how many coyotes are there, either. If I rely on my eyes to tell the hounds what to do, I’m committing an error. With a pack like ours, hounds that don’t switch coyotes, you have to let them establish their own line. Lilla and the hounds at Foxtrot. Dave Traxler photo. A four-hound group did just that, finally speaking on the line of a reddish coyote that had headed out the east end of Pauline’s Ridge. Paper, Sassoon, Battle and Bagshot took off on the line they’d found, but the hounds had cast themselves widely, a necessary tactic on a bad scenting day when you’re hunting coyote. As Paper and his three companions raced on close behind the coyote, they distanced their packmates. 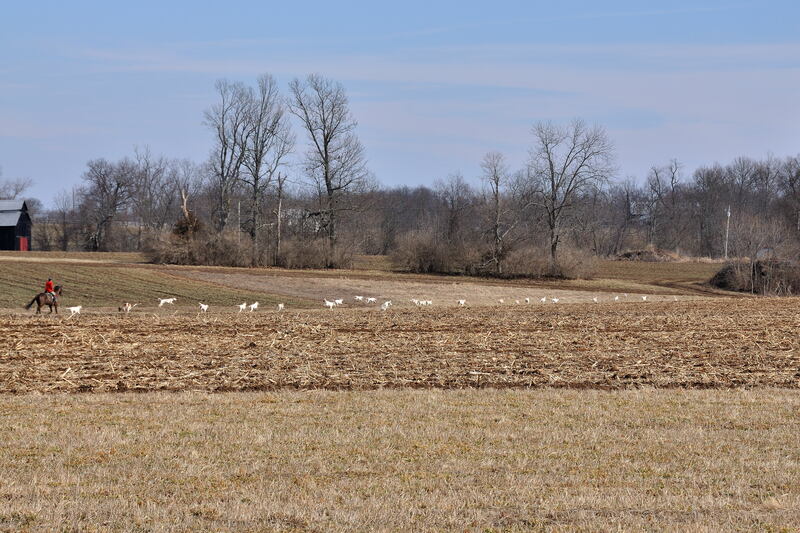 The other hounds behind them caught onto the same line, but when they reached the sunny open ground after Paper’s group, the main body of the pack had trouble holding on to scent as it dwindled rapidly in the warmer air. As Paper, Sassoon, Battle, and Bagshot hurtled toward the western boundary of the hunt country–and a busy road where horses could not follow–their packmates were left puzzling over a line that, to their noses, was nearly invisible. When they made a lose, Lilla opted not to cast them forward and risk having them run toward the road, too. Road whips Michael Edwards (foreground) and Alan Foy picked up two of Paper's compatriots: Sassoon and first-season hound Battle at the Jan. 30 hunt. Road whips are essential! Dave Traxler photo. It turns out that Paper and Bagshot, spotted by whipper-in Elizabeth Playforth, came back on their own, and Alan and Michael quickly picked up Sassoon and Battle. The moment when Paper struck off and led his group on a coyote, and in far from perfect scenting conditions, didn’t last long. But it was an important indication that the Class Clown is becoming a serious student, and is even on his way to being a potential pack leader. Not for him the tempting aluminum can or old cow bone. Not anymore. 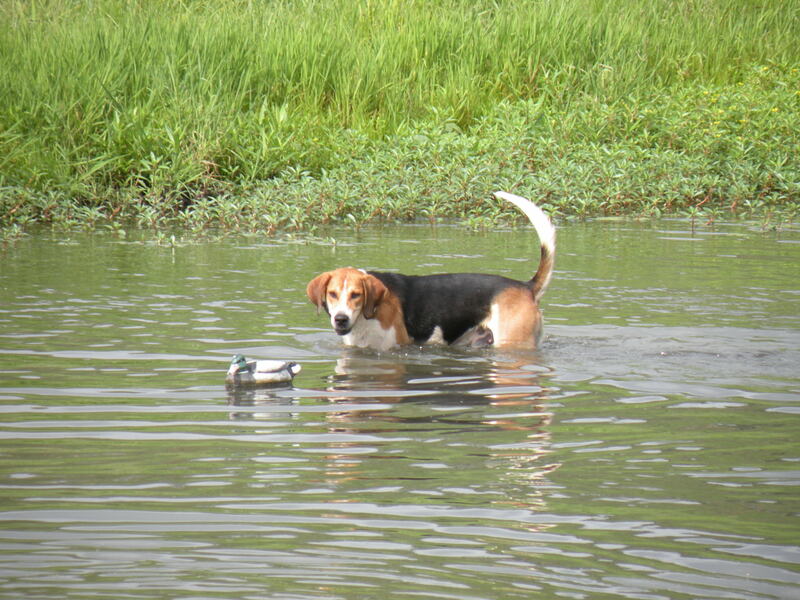 No more decoys for Paper: he's the real deal! Eloise Penn photo. As Paper and Bagshot filtered their way back to Lilla, their colleagues in the pack, meanwhile, had struck off again in the east part of Pauline’s Ridge. “That helped bring everyone back together,” Lilla said. But when hounds went quiet soon afterwards, the pack, working their noses hard the whole time, scattered out again, trying to find scent anywhere they could. As hounds worked silently, snuffling through the grass, woods, and cliff, Lilla headed back up to the ridge and blew her horn. She soon collected 10 or 11 couple and headed west with them, intending to draw the covert at Pauline’s house. The field got a nice view at Foxtrot on Jan. 30. And welcome back, Brownell! Peggy Maness photo. 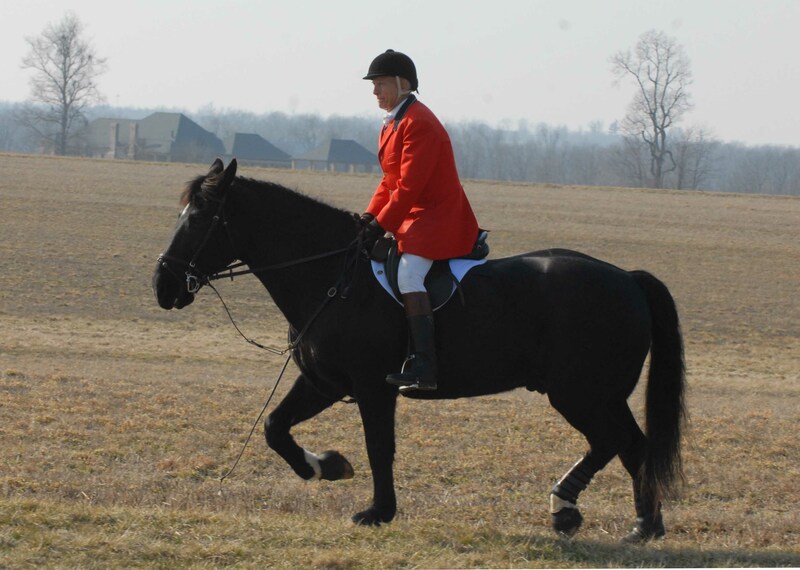 Just then, another tally-ho, this time from field secretary Betsy van Nagell, who spotted–guess who! The black coyote, of tall grass fame, emerging from his weedy haven. I’m not sure who ticked off the Scent Gods that day, but someone did, and the black coyote knew it. “He was moving so slowly,” Lilla said. “He knew we could see him in the grass, and he knew we were going to see him when came out of the grass and went down the field. He trotted right by the field. He always goes that way: he comes out of the top of the ridge and goes south like that. Sometimes he’s a lot of fun, but this time he knew there was no scent and wasn’t bothering to move very quickly, just trotting a long and not giving off a lot of scent from his pads. At least the field had a nice view. Because, really, you can't have too many pictures of Paper. Lilla Mason took this one on a 2009 hound walk. Missing just one and a half couple, Lilla took the pack into Pauline’s Scrub, a good covert for game and also near where Lilla suspected the three absent hounds would be. Hounds spoke in the fenceline between Pauline’s Scrub and the Deer Covert, a good, strong cry on to the Deer Covert. Spirits lifted–but the burst was short-lived. Whipper-in Hannah Emig on Comet at the Jan. 30 Foxtrot meet. Peggy Maness photo. Having battled the Gods of Scent all afternoon, Lilla called it a day. 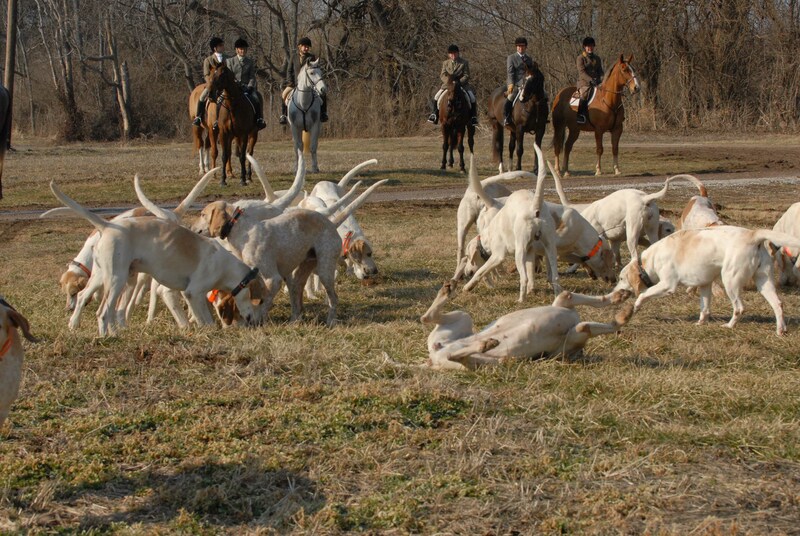 From a hunting standpoint, the day was understandably frustrating for huntsman and hounds alike. But there were at least two important saving graces: the mere fact of being out again, galloping a horse alongside hounds over the countryside, and Paper’s brief, shining moment, leading the pack on a line. 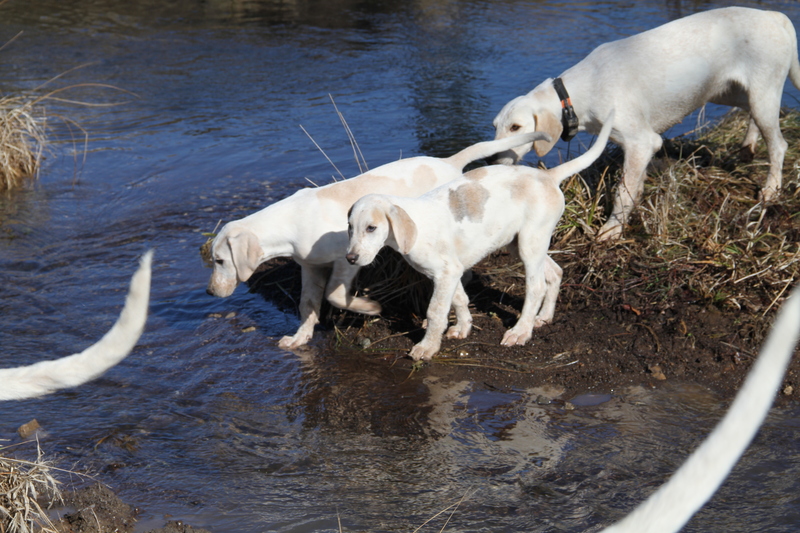 The new HA puppies test the waters at Brookfield on their first hound walk Saturday. Gene and Christine Baker photo. THERE was a break in the weather last weekend, and that meant the houndbloggers finally were able to get out and see some hounds again! Is it just us, or were people kind of giddy about being back outside in some sunshine again? It felt strange and liberating to unfold ourselves out of the traditional mid-winter hunch and go out walking instead of, say, snow-shoveling. The last day of January is an unusual time for a hound walk; those usually take place in the summer, as you can see from our posts and videos in June, July, and August. But on Saturday we got a chance to tag along with four of Baffle’s second litter of Iroquois puppies, known as “the HAs” because their names, to recognize their sire Hawkeye, will all start with the letters HA. The HA litter were born at the end of October, so they’re about four months old now. They were joined on the walk by Magic, an eight- or nine-month-old who came to us from the Live Oak hounds; in the video below, she’s the larger hound with a light honey coloring. Also along for the walk were three of the HA puppies’ older half-siblings, Bandstand, Bashful, and Bangle, and retiree Saddle. The hounds weren’t the only “new entry” out enjoying the wide world. Wells Pfister also was making her debut. Wells is the daughter or Iroquois members Knox and Matt Pfister and granddaughter of Iroquois Hunt joint-Master Jack van Nagell and his wife, field secretary Betsy van Nagell. Iroquois joint-Master Jack van Nagell (center, green coat) hosted the puppy walkers at Brookfield farm--and provided some warming port before we set off! Gene Baker photo. The van Nagells hosted the hound walk and provided a warming stirrup cup–or, I guess, walking cup–before we stuffed our pockets with dog biscuits and set off across the pastures, the puppies bouncing along with us. To the amateur eye, two things were remarkable. First, the puppies’ confidence. They were a happy lot and just as exuberant as you’d expect puppies to be, but, in addition, they were not afraid to roam away from their human chaperones and follow the older hounds off to examine the pasture’s many curiosities. 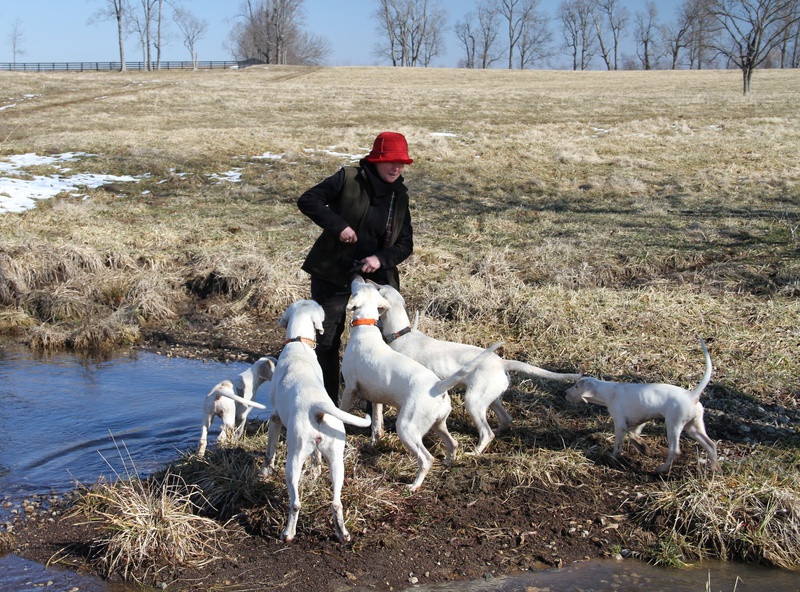 Iroquois huntsman Lilla Mason with the HA puppies and some of the hunting hounds at Brookfield. Gene and Christine Baker photo. Second, they were already highly responsive both to the older hounds’ lead and to people, cheerfully returning to the group after their more distant explorations. Naturally, it didn’t take long for them to realize that the people walking with them were Good Things who readily rewarded the puppies with biscuits and pats when they came to them. As you can see in the video, the puppies enjoyed learning more about their world, and they didn’t appear spooked by anything they found: creeks, ditches, a livestock feeder. The HA puppies got a chance to tag along--and learn from--some of their older counterparts on Saturday's walk. The walk also provided a good chance to see hound-to-hound teaching in action, as the puppies followed the older hounds, clearly picking up on what they did–the first budding of what you can see later when young hounds join the hunt field and rely on their older packmates to show them the ropes. 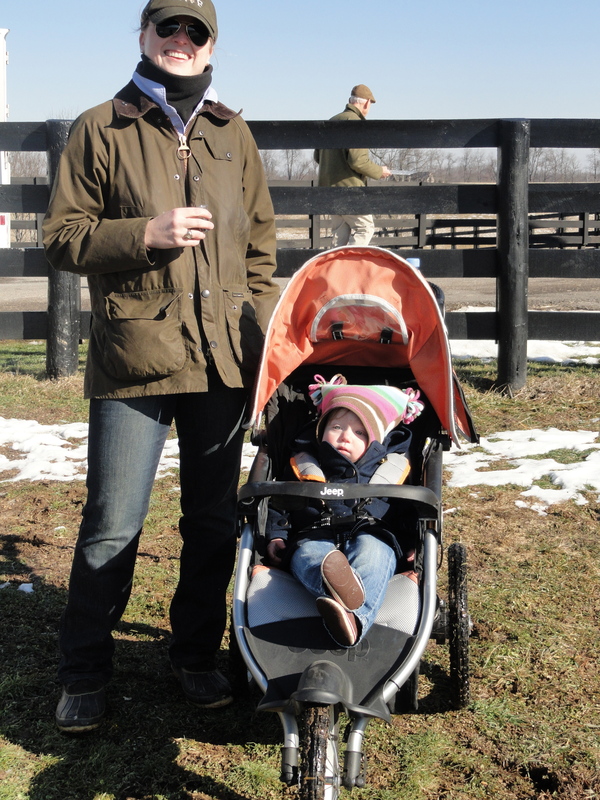 Baby Wells Pfister, here with mom Knox (sporting a Hound Welfare fund cap! ), was on her first hound-walk, too, and came away with some puppy kisses. 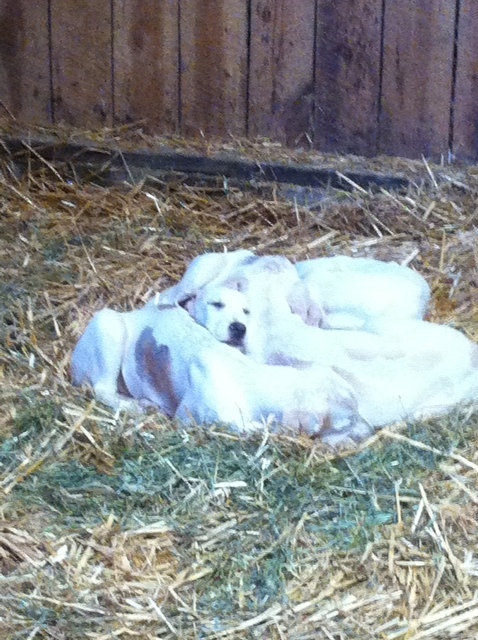 Sweet dreams for some contented puppies! Photo by Lilla Mason. 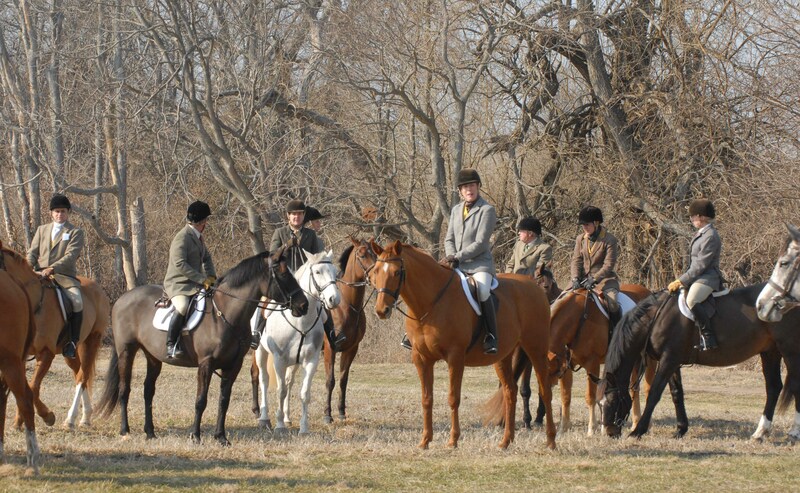 And speaking of the hunt field, on Sunday the houndbloggers got out with hounds again, this time for actual sport, before wintry weather returned. Next up, we’ll have some updates from that day, including the story of our young friend Paper’s complete transformation from Playper the Class Clown to serious working hound!